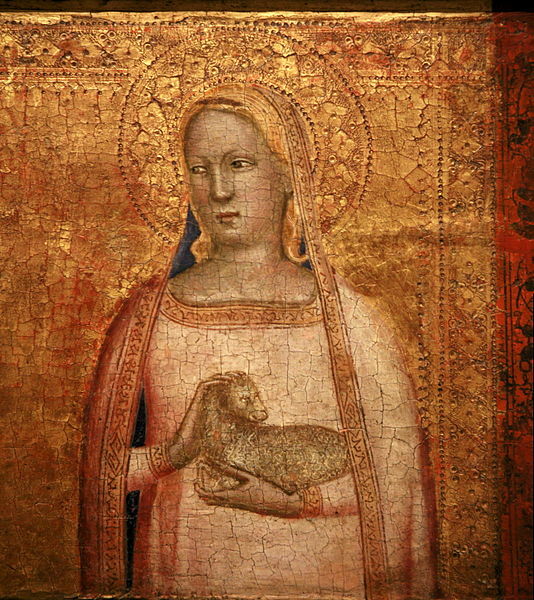 Florentine Bernardo Daddi (c. 1280–c. 1349) is a key figure in painting at the threshhold of the early Renaissance. He apprenticed with Giotto, and besides being entirely in tune with new developments in painting, both in Florence and Siena, he is said to have been influenced by the carved ivories coming from France—some of the most beautiful work being produced in those days. Daddi became one of the most popular (and wealthiest) painters in Florence, and operated a large workshop; it is seldom possible to tell how much of a work is really his. The massive Crucifixion he painted for Florence's Duomo has recently been restored and hangs in the Museo Bardini. Many works in the Uffizi, others at Orsanmichele, the Museo del Bigallo, the Accademia, the Museo dell'Opera del Duomo,S. Maria Novella’s Spanish chapel and the Museo Bandini in Fiesole.